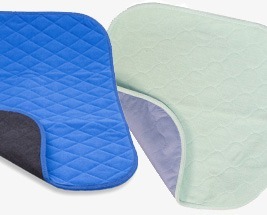 Washable Bed and Chair Pads have very high levels of absorbency, so are perfect for use with older children who tend to have a higher bladder capacity. The pads offer a breathable, yet waterproof backing and are available with or without tucks. The pads can be machine washed making them incredibly economical and come in a choice of styles and sizes to suit your needs.